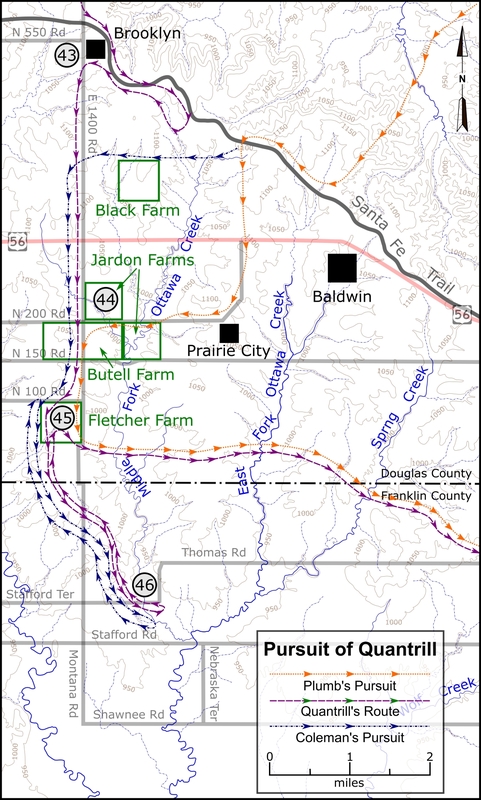 A skirmish between Quantrill’s guerrilla force and Federal cavalry took place on the Fletcher Farm in southern Douglas County, Kansas. 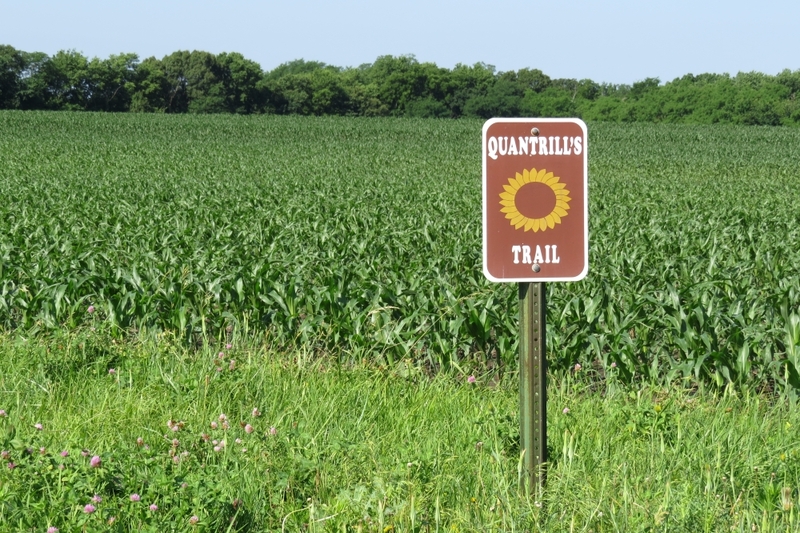 Quantrill’s Trail marker at the Fletcher Farm tour stop. 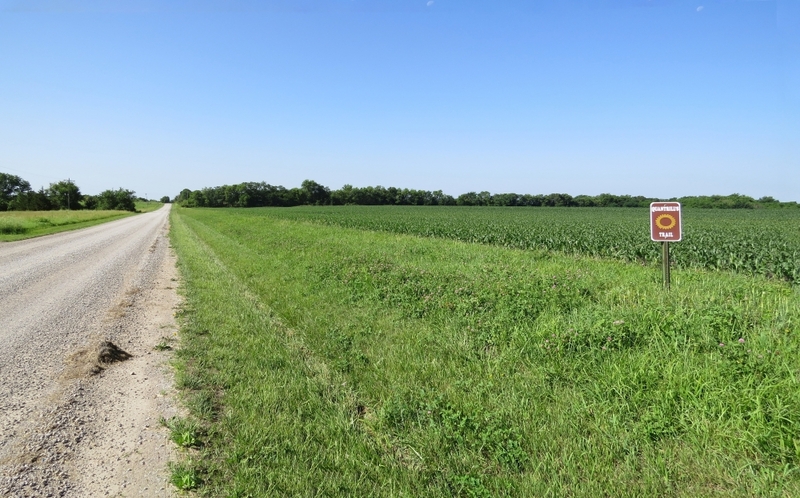 Looking south from northeast corner of the Fletcher Farm. 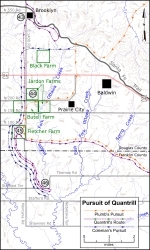 Map showing location of the Fletcher Farm tour stop. Click on thumbnail to load high resolution version of the map.